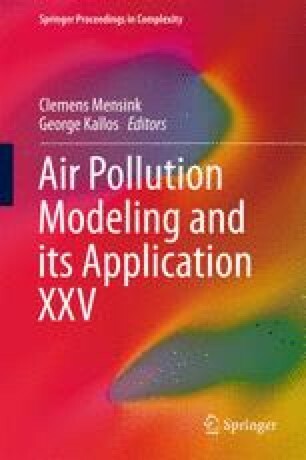 A physics-based windblown dust emission parameterization scheme is developed and implemented in the CMAQ modeling system. A distinct feature of the present model includes the incorporation of a newly developed, dynamic relation for the surface roughness length, which is important in correctly predicting both the friction velocity and the roughness correction factor used in the dust emission model. Careful attention is paid in integrating the new dust module within the CMAQ to ensure the required input parameters are correctly configured. The model is evaluated for two test cases including the continental United States and the Northern hemisphere, and is shown to be able to capture the occurrence of the dust outbreak and the level of the soil concentration.